There’s a huge world out there with lots of cultures to discover, cuisines to taste and people to meet. You’ve probably heard all about Thailand, Cambodia and Indonesia but how about the Philippines? With approximately 7,197 islands, it’s kind of hard to decide where to go! That’s why we’ve prepared for you a list of the 15 places you should visit if you go to the Philippines! Ready to discover all these beautiful destinations? 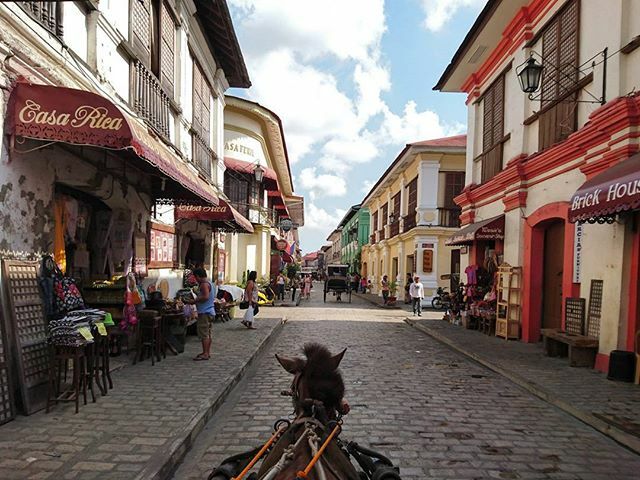 Vigan is an exceptionally well-preserved 16th-century town. You’ll easily feel like you’re travelling back in time, back to when it was a European trading town in East and Southeast Asia. There is no wonder it’s a UNESCO World Heritage Site! • Being a 16th-century town, there are lots of heritage museums to visit. The most recommended ones are Syquia Mansion, Crisologo museum and Padre Burgos Museum. ✈️ Air: Hop on a 45-minute flight to Laoag, Ilocos Norte from Manila. 🗺️ Land: You can go by bus, jeep or mini-van from Manila or nearby provinces. It’ll take you at least 10 hours to get there and it costs approximately 600 PHP (£9). 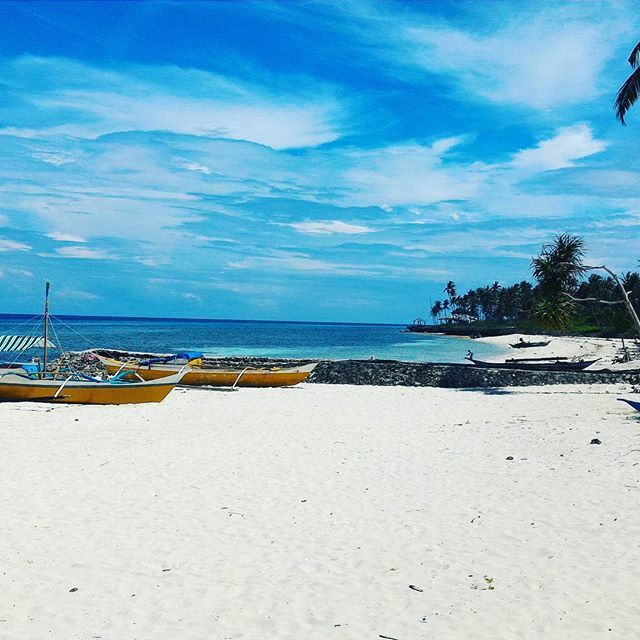 Find cheap flights to Manila to start your trip here! 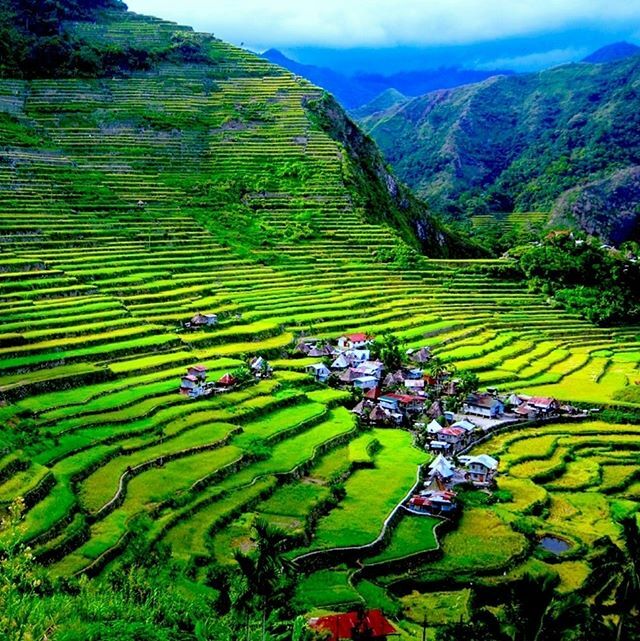 It’s the best place to view the Ifugao rice terraces, a UNESCO world heritage site but getting there isn’t easy! • Hike towards Patpat Sitio to be amazed by the beautiful sights. You’ll cross a hanging bridge, hike up the rice terraces, visit a small forest with little waterfalls and springs and you’ll get to see the best view of the rice terraces. • Go for a swim in Tappiya waterfalls, a beautiful 70m fall that’s just 30 minutes away from Batad. 🗺️ Land: Take a 9-hr overnight bus to Banaue from 500 PHP (£8). Be sure to book at least a week in advance! Once in Banaue, take a tricycle ride to the end of the paved road and you’ll have to hike to Batad. Unleash your adventurous side in Sagada! Go hiking, trekking, visit bat caves, and explore hot springs. • Visit the hanging coffins in Echo Valley. 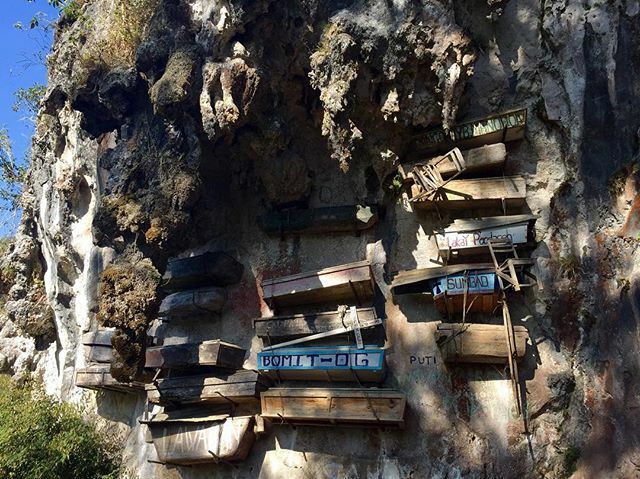 The locals believe that the dead should be placed in steep crevices so they can begin their journey into the afterlife and be closer to the gods. • Go caving/spelunking in Sumaguing Cave and be stunned by its rock formations and chest-high waters. • Swim at Bomod-ok falls or as locals call it “Big Falls”. It’s really hard to get here because there are very little buses that go directly to Sagada; you’ll either need to go through Banaue or Baguio. 🗺️ Land: Book a 13-hour bus trip from Manila from 720 PHP (£11). If you’re already in Banaue, you can take a 2-hour van ride to Bontoc and a 45-minute jeep ride to Sagada from 200 PHP (£3). 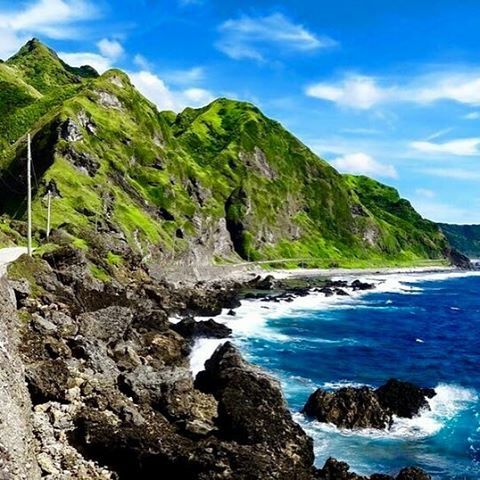 This is the northernmost province in the Philippines; it’s closer to Taiwan than Luzon! Although it’s the smallest and least populated province, it’s surrounded by spectacular sights. 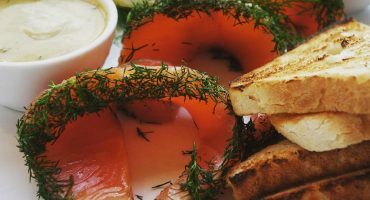 It’ll make you feel like you’re in New Zealand! Be sure you check the weather before visiting because they have the biggest storms here. • Check out the stone houses in Savidug and Chavayan. • Bike around Batan Island and the Marlboro Country. Not recommended for those afraid of heights though! ✈️ Air: Hop on a 2-hour flight to Basco, Batanes from Manila. If you can’t decide on what island to visit first, you can just go ahead and visit 100 islands here! • Go island hopping to Shell Beach (it has a secret lagoon) and Governor’s Island. • Jump off a 70-foot cliff and swim to the underwater cave in Governor’s Island. • Kayak and discover Quirino cave, Nalso cave, Cathedral cave and St. Paul’s Subterranean cave. ✈️ Air: Hop on a 5-hour flight to Alaminos Airport from Clark or Manila. It’s only 6.5×2 km but it was the largest island used to defend Manila bay during the World War II. Japanese, American and Filipino troops fought in this island. It’s now a historical monument but it also has a forest and a beach! • Take a tour to learn all about the history of the island. If you’re brave enough, you can even go on a night tour in Malinta’s tunnels. 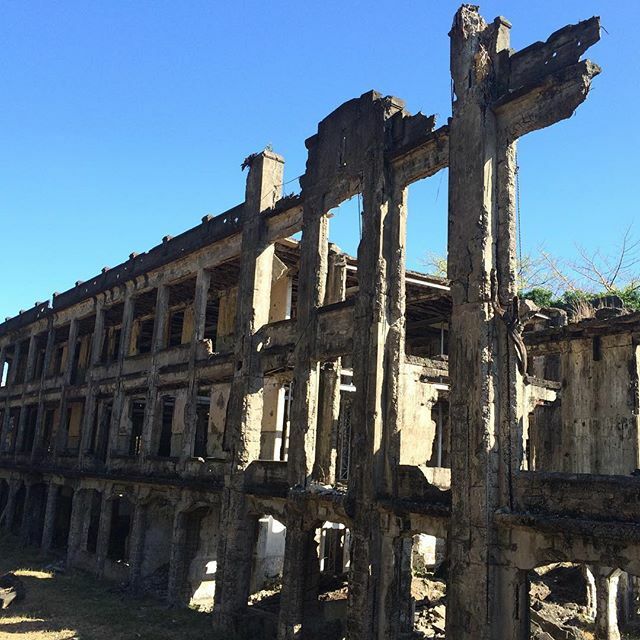 • Visit the Corregidor Lighthouse that was first built and 1853 and is still used to this day. 🌊 Sea: Take a 1-hour ferry ride from Manila to Corregidor. It’s known as the surfing capital of the Philippines but you don’t have to be a surfer to visit. • Get on a Bangka (local bamboo boat) and go island hopping to Naked island, Daku island and Guyam island. • Visit the Sohoton caves; you can go by kayak and explore the marine reserve and the natural cave tunnel. 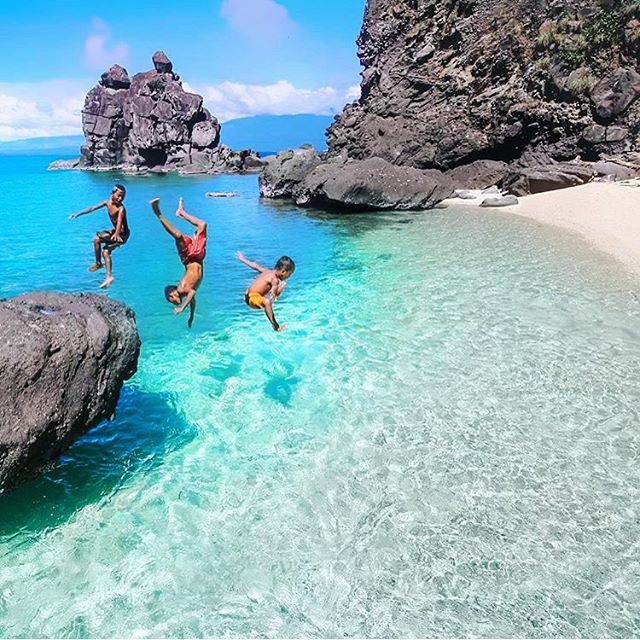 • You’ll find a natural pool surrounded by rock formations in Magpupungko pool. It’s separated from the ocean by a large reef. • The best spots to go surfing are Cloud 9, Quicksilver, Stimpy’s, Rock Island, Daku Reef, Cemetery and G1. ✈️ Air: Book a flight to Sayak Airport from Cebu or Manila. 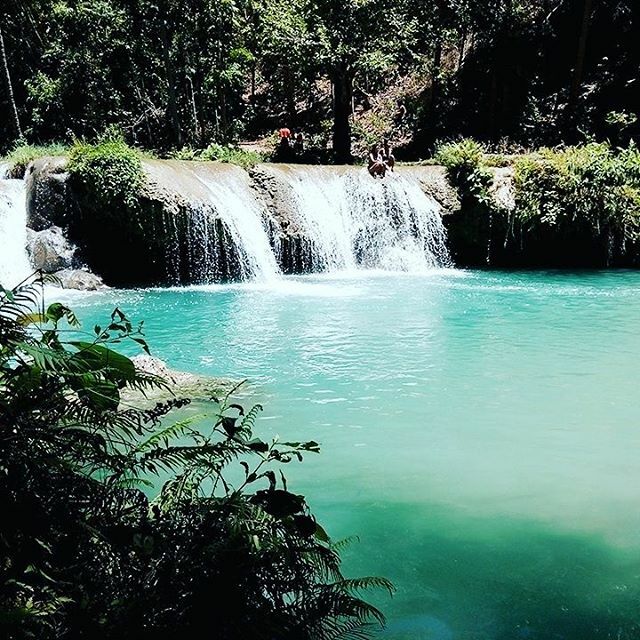 Lagoon rivers, swimming, diving and surfing… these are just some of the things you’ll be able to do in Surigao del Sur! 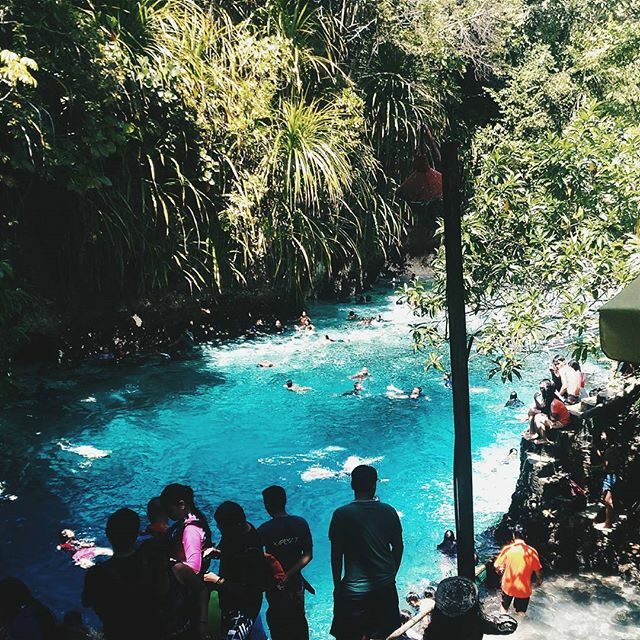 • You have to visit the Enchanted river, a deep blue pristine river. Be sure to go early morning to avoid all the other tourists. • Go island hopping to to Britania islands… 24 paradise islands just for you! ✈️ Air: Book a flight to Butuan, Surigao or Davao and take a bus to Mangagoy (Bislig). 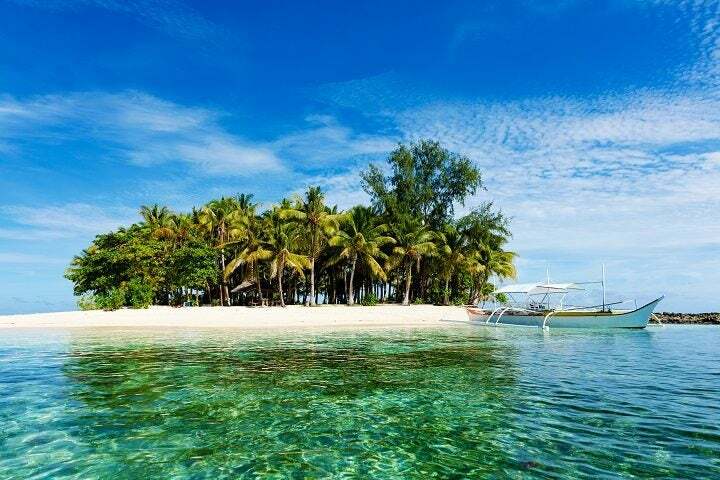 It’s the second smallest inhabited island in the Philippines with just 23 x 14km in size. 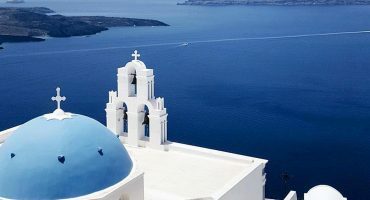 There are beautiful beaches, waterfalls and seven volcanoes. Seven! • Go swimming, snorkelling or diving in Mantigue Island or go swimming in Katibawasan falls or Tuawasan falls. • Trekk one of their volcanoes and if you’re up for a challenge, go up Mt. Timpoong which is about 1,600 meters high! • Visit the historic town with churches from the Spanish era, ruins of old towns and homes from the Spanish and American periods. ✈️🌊 Air or Sea: Fly or take a ferry to Cagayan de Oro from Manila, Ilo-ilo or Cebu. 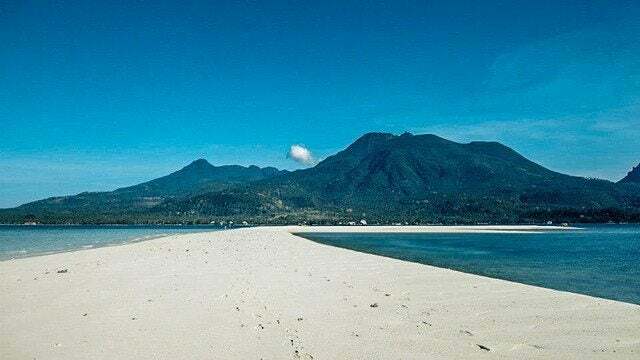 On arrival, take a bus to Balingoan and a ferry to Camiguin island. Due to the high number of fireflies, the Spanish colonizers called this island “Isla del fuego” which translates to “Island of fire”. There are turquoise water beaches, caves and nature parks to visit. • The best beaches here are Kagusan and Salagdoong. • If you believe in supernatural forces, meet a healer or buy amulets and potions. 🌊 Sea: Catch a 5-hour boat ride from Cebu or a 45-minute boat ride from Dumaguete. 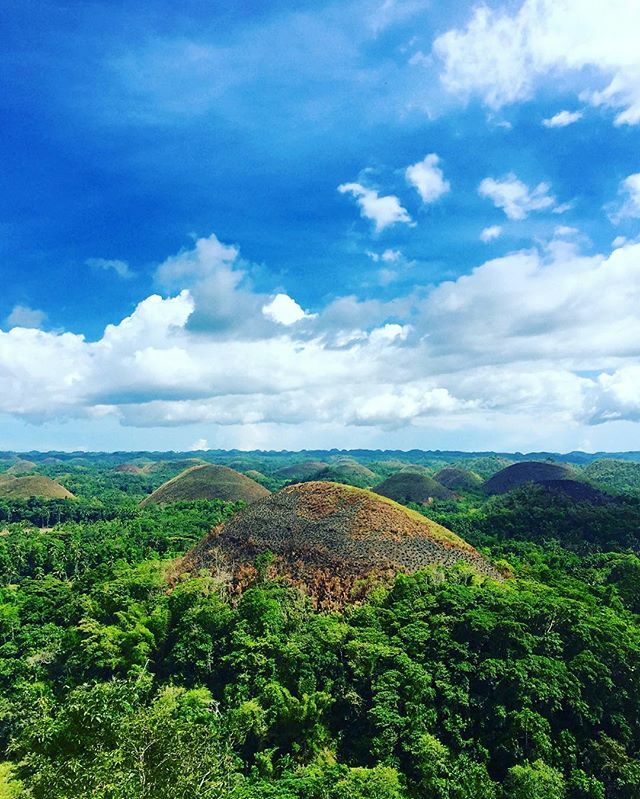 • You obviously have to go see the Chocolate hills. 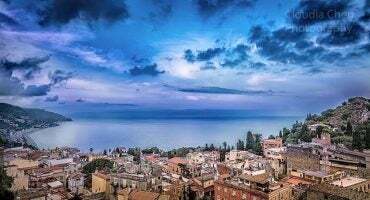 You can catch a motorcycle taxi and go on a thrilling tour along winding roads. • If you want to see Tarsiers, one of the cutest and smallest monkeys in the world, head to the Tarsier Sanctuary in Corella. • Camping, bike zipping, going on tree top rope challenges, burma looping, vine walking and getting in a giant beach ball.. these are just some of the things you can do in Bohol! • Go on a river cruise in Loboc river to enjoy the views and eat on a floating all-you-can-eat restaurant. ✈️ Air: Hop on a hour and 15-minute flight to Tagbilaran, Bohol from Manila. You can also fly to Cebu city and then take a 90-minute ferry to Tagbilaran. Made up of Pacjian, Ponson, Poro and Tulang islands, they’re perfect to sunbathe and swim in turquoise waters undisturbed. • If you’re travelling with your partner or someone you’d love to “get to know”, go on a romantic picnic and boat ride to “Lover’s Lake“. • Visit the unspoiled beautiful beaches of Santiago bay and Mangodlong. • For the more adventurous, check out Bukilat cave and Timubo cave. ✈️ Air: Fly to Cebu from Manila and take a ferry to Camotes islands. One more diving and snorkelling spot to add to your list! 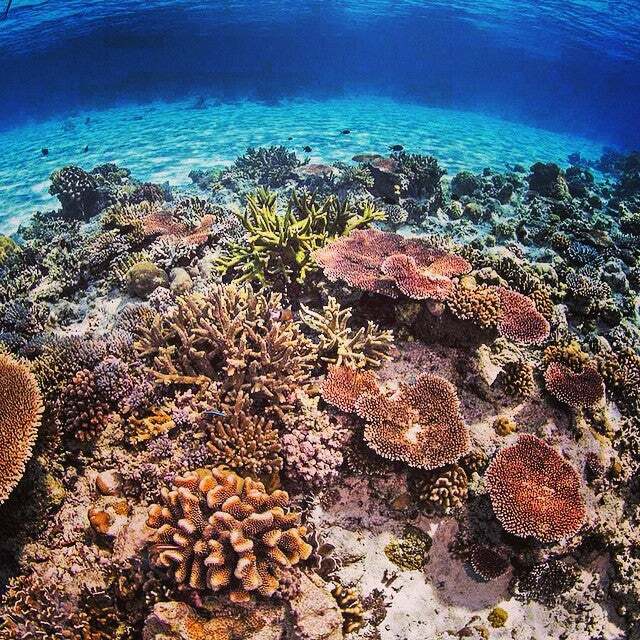 Apo Island has approximately 650 documented species of fish and over 400 species of corals. You’ll also be able to swim with turtles! 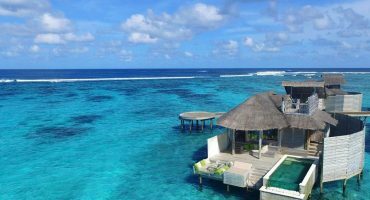 • You have to go snorkelling or diving! The waters are so clear that you don’t really have to go to deep to see the corals and turtles. • Hike to the lighthouse; there’s nothing special about the lighthouse per se but it’s the island’s highest point and it’s perfect to see the sunset and Mt. Talinis. It’s a 15 to 20-minute hike. • Visit Boluarte, a beautiful rock formation and if you walk a bit more, you’ll find a mangrove area. ✈️ Air: Fly to Dumaguete from Manila, take a jeep to Malatapay market and a boat to the island. 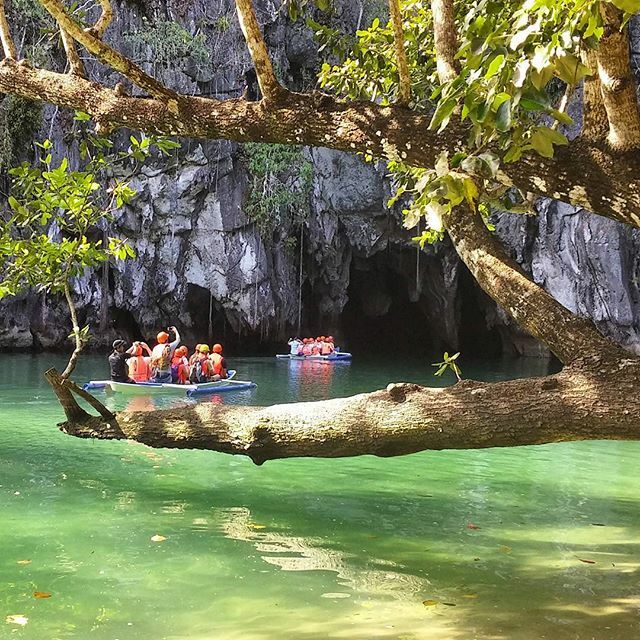 There’s a lot of reasons why the Underground river in Puerto Princesa is one of the Seven wonders of the world… you’ll have to visit to find them out! • Go on a 1-hour paddleboat tour through the 1.5km of the cave to discover the Underground river. • Island hopping from Honda bay is also a must! 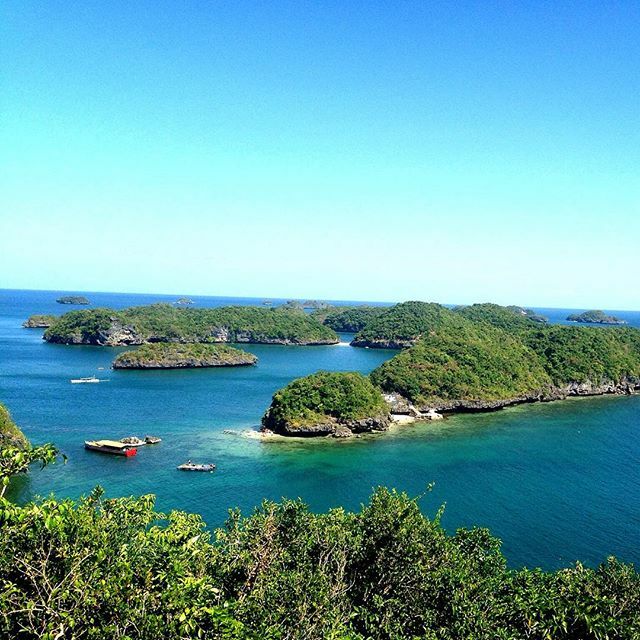 Visit Starfish island, Luli island, Cowrie island and Nagtabon, Napsan, Panaguran and Marufinas beaches. • Visit a Crocodile farm and get up close and personal with some of the crocs. ✈️ Air: Hop on a 1-hour flight to Puerto Princesa from Manila. 🌊 Sea: Take a 18 to 22-hour ferry ride to Puerto princesa from Manila. The Tubbataha reefs aren’t located on Cagayancillo island or even closeby but they fall under the island jurisdiction. It’s a UNESCO Heritage Site and protected by the Tubbataha reefs natural park. It’s really one of the best places to dive in the world! • The best time to go diving here is from mid-March to mid-June because it’s when the skies are clearest, seas are calm and there’s visibility between 30-45m. ✈️ Air: Fly to Puerto Princesa from Manila and book a boat tour from there to Tubbataha. The boat takes 10-hours to get there! Book a flight to Manila and get ready for a trip of a lifetime! I must say all these places are just incredible.